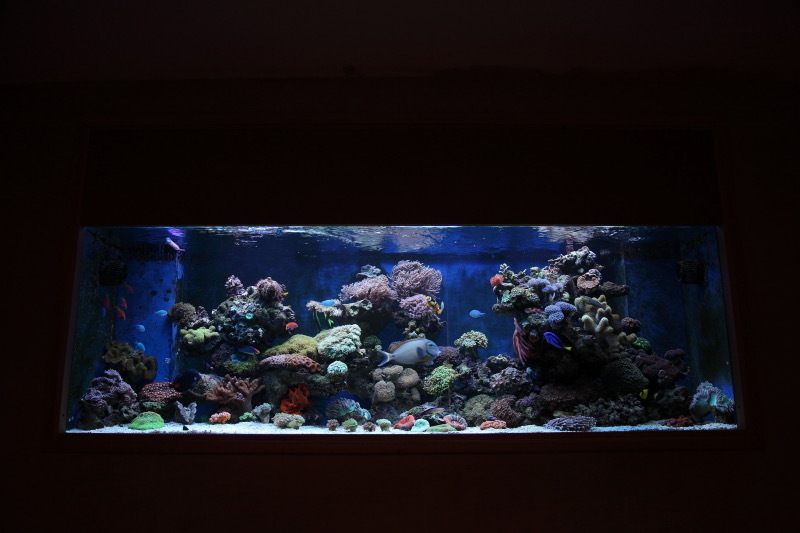 Residential marine wall aquarium in Preston, Lancashire. To create a large aquarium with 3 island structures giving plenty of space for fish to swim, combined with a large number of live corals. Fish tank cleaning service included due to clients work commitments. With the display capacity of 720 litres. 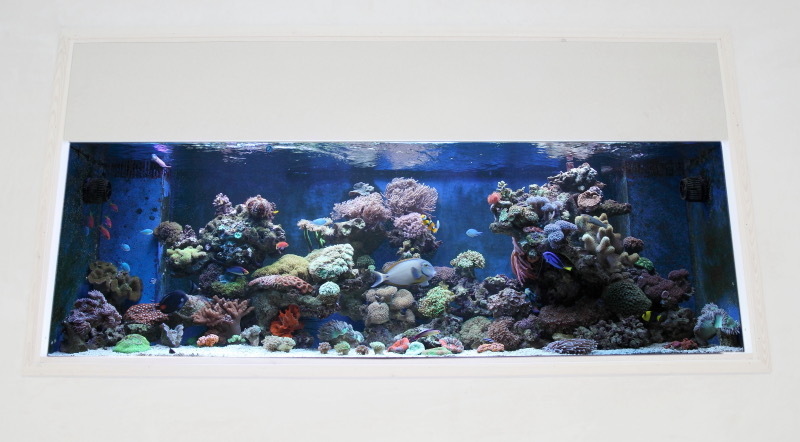 This built in wall fish tank creates a vibrant colourful display in this private residence located in Preston. 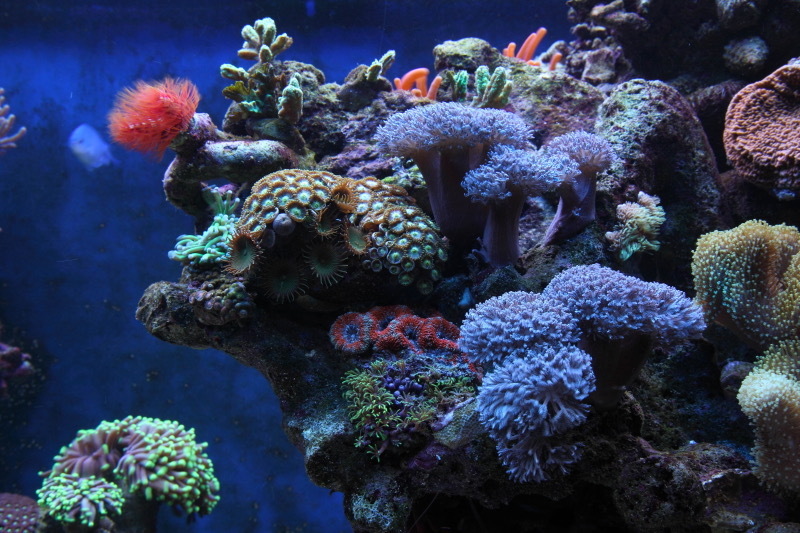 This client was particularly interested in live corals and requested that we stock these in high numbers. The tanks bespoke filtration system incorporates the latest monitoring system, allowing our technicians to check on the tank 24 hours a day, seven days a week. We are also able to turn equipment on or off, make adjustments or even alter the tanks LED lighting cycle. 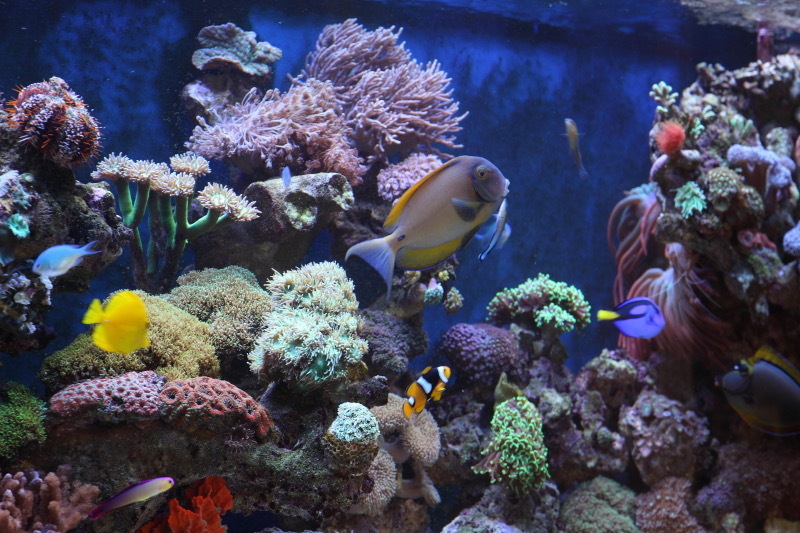 This monitoring service forms part of our aquarium maintenance contract, which our client describes as ‘invaluable’ due to being away on business for long periods of time.